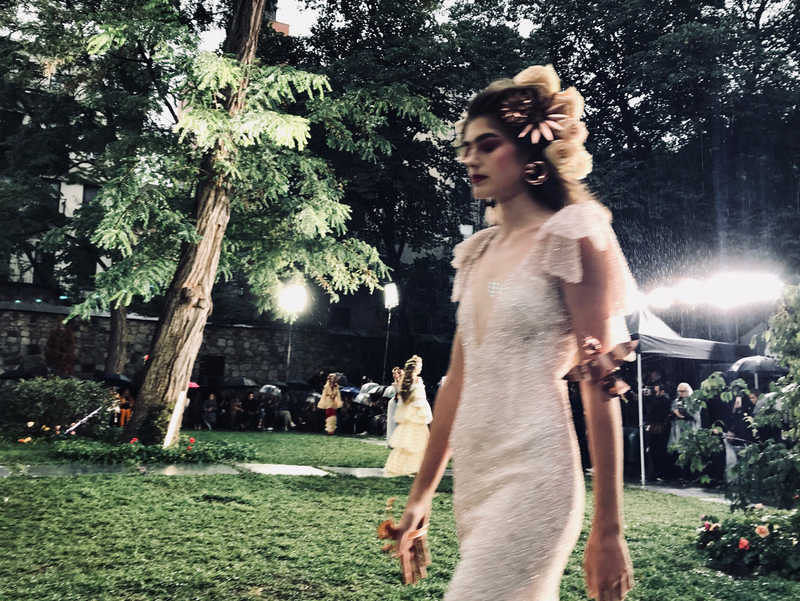 Ravelin’s coverage the labels latest collection for NYFW. 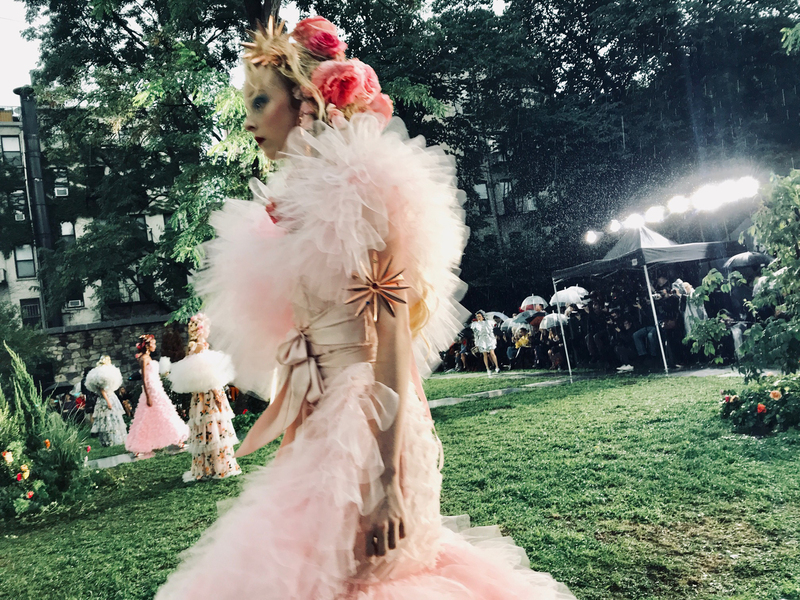 The latest Rodarte show is nothing short of epic, both in the new slangy sense and the classical meaning of the word. 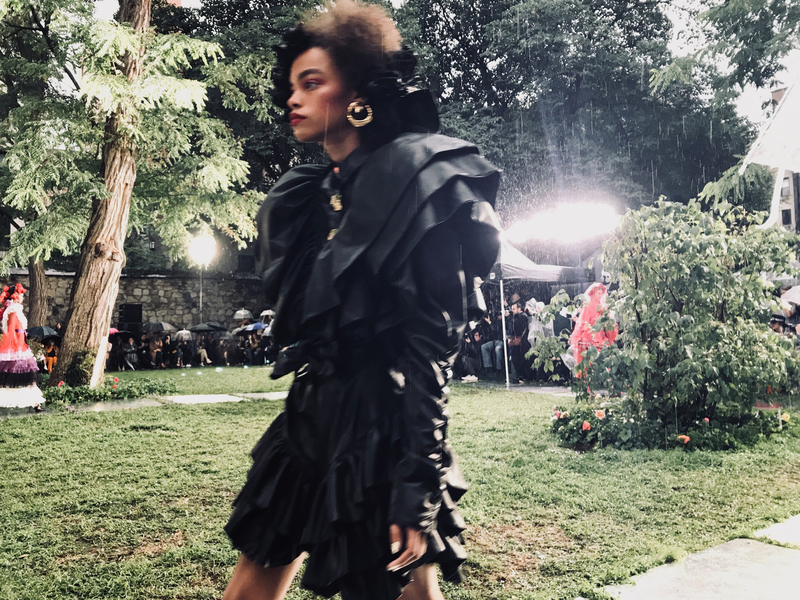 Fittingly, the collection itself also borrows unabashedly from history while also managing to be very much of the moment, even moment defining. 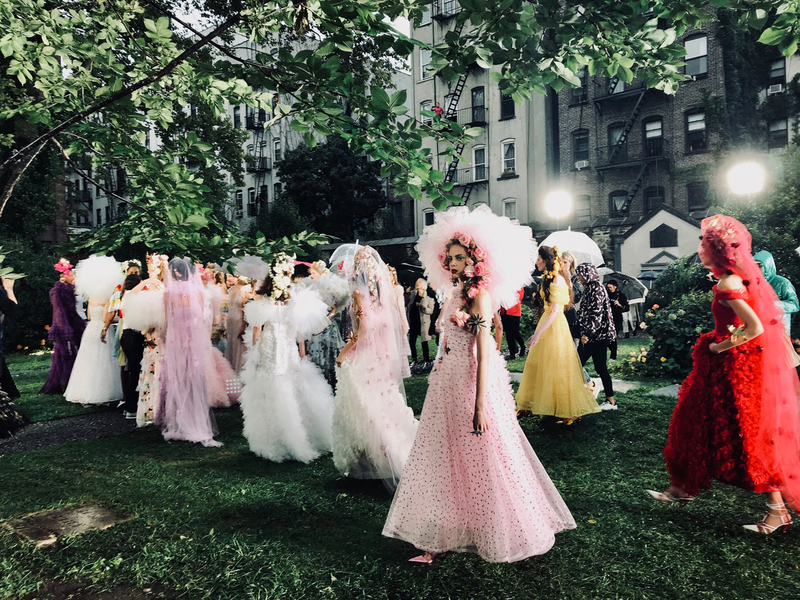 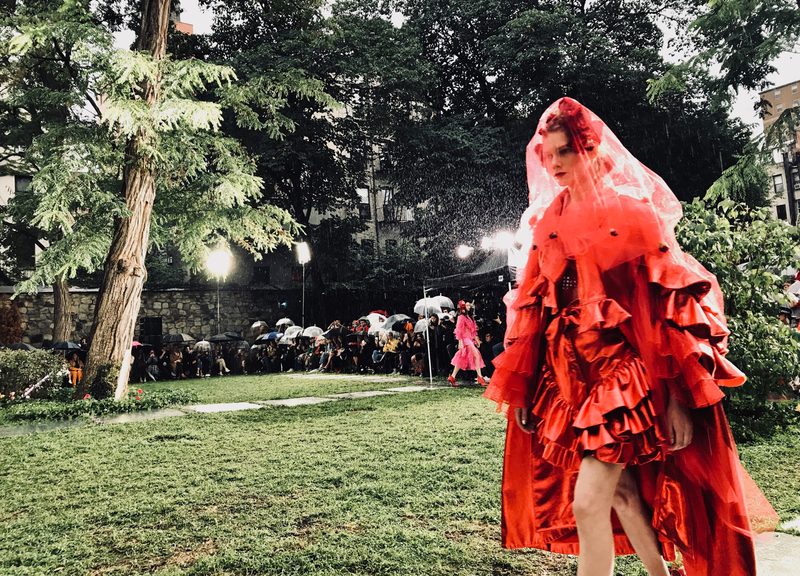 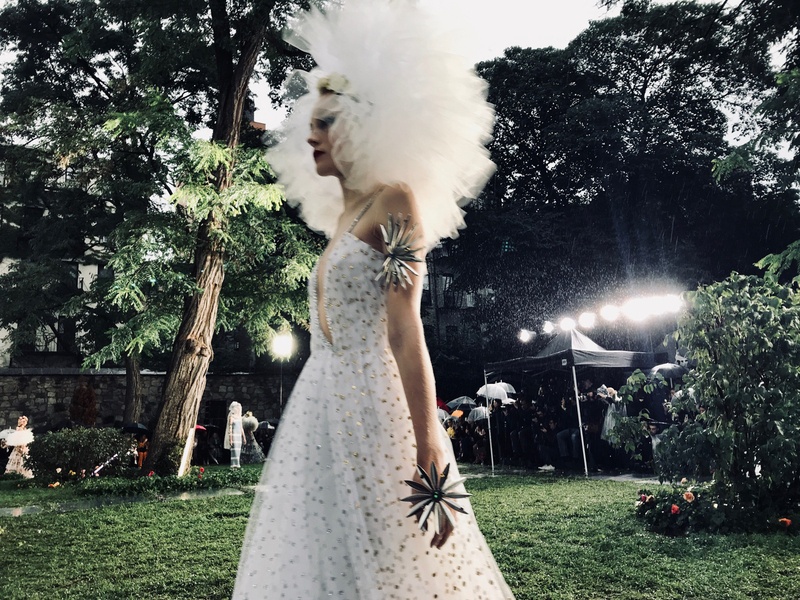 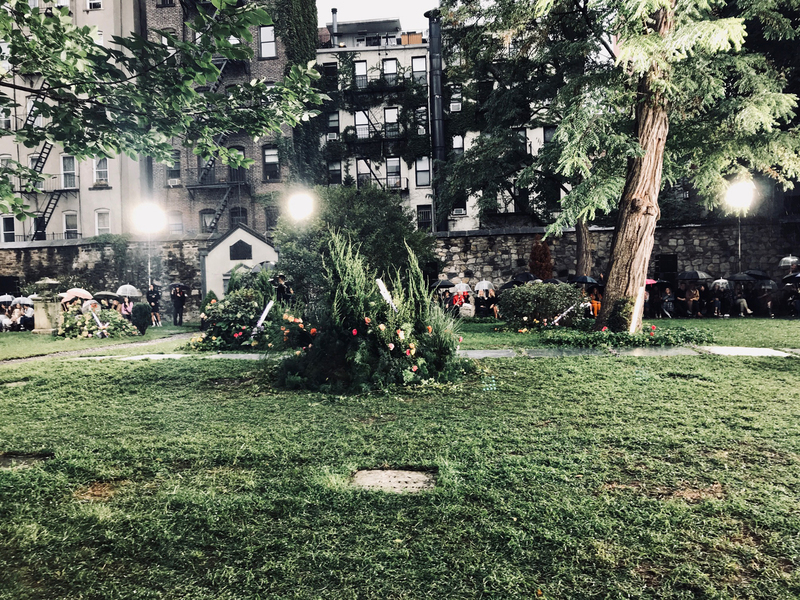 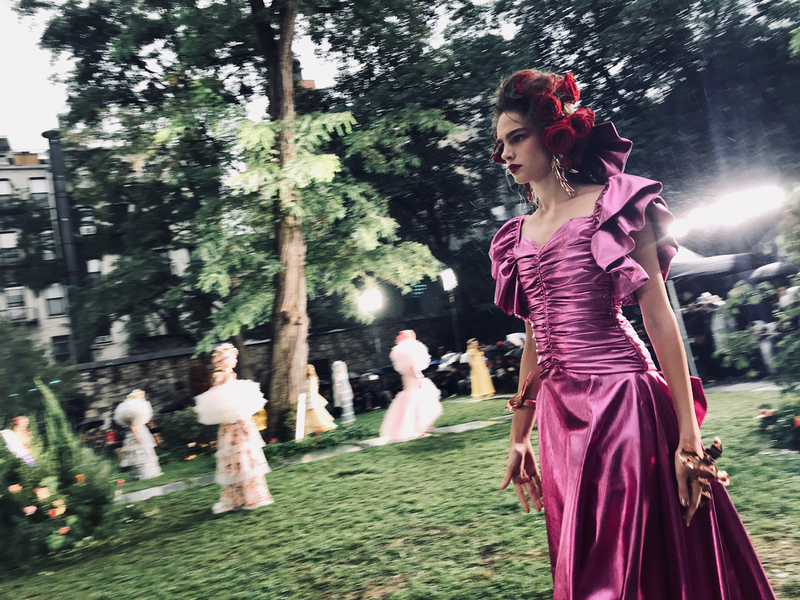 The setting for the show was the New York City Marble Cemetery, so clearly designers Laura and Kate Mulleavy were intent on spectacle. 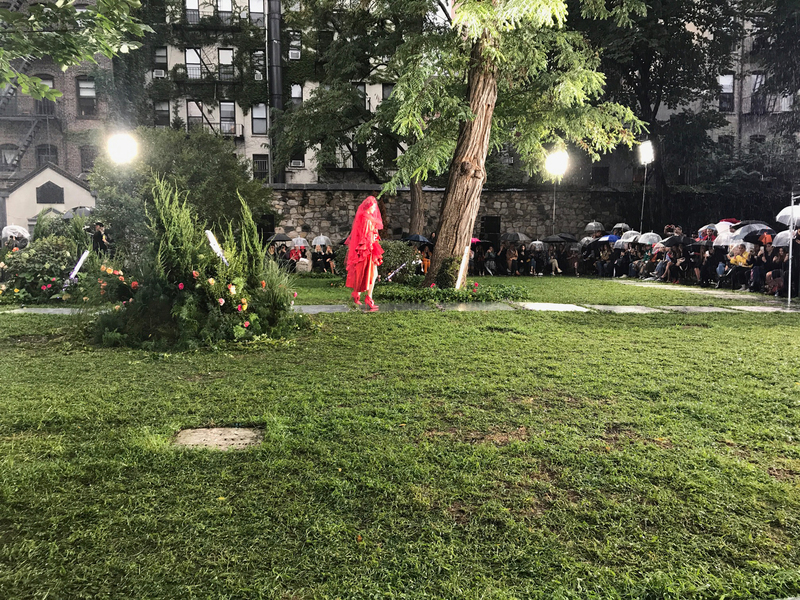 The rain added a goth aspect to the show that no one setting a show in a cemetery could have been that disappointed by. 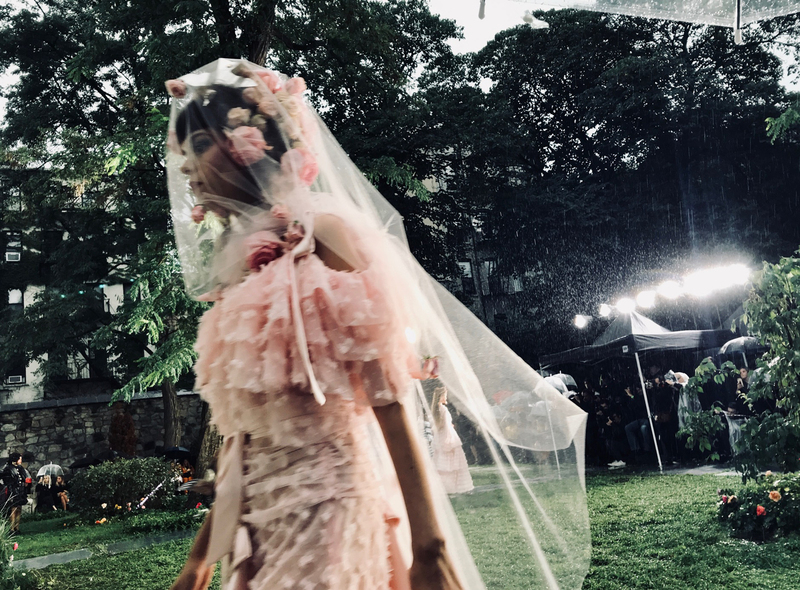 If the phrase “flair for the dramatic” springs to mind when thinking about the 2019 collection, cast it aside, for it is certainly too cliche for such an artistic and imaginative collection; it also undersells the commitment to drama. 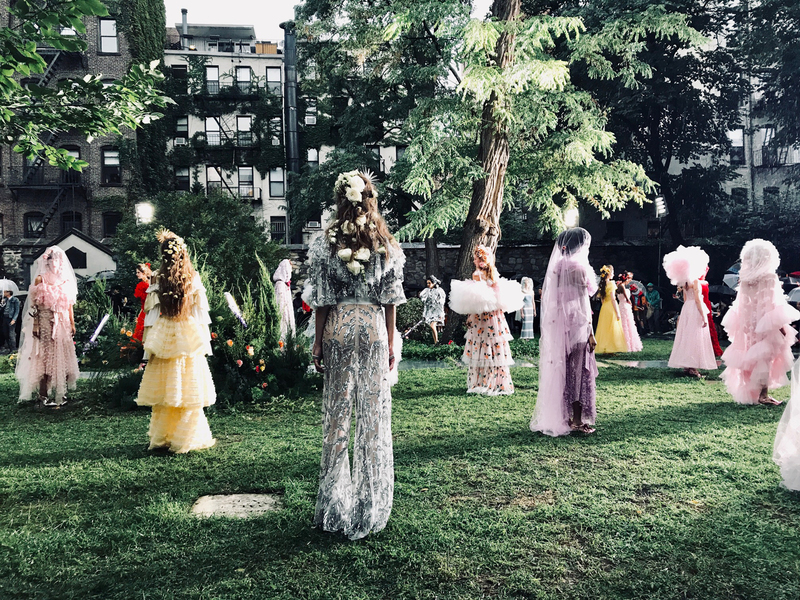 If your favorite shows from the rest of NYFW were theater, the Rodarte show is opera.